petition: Stop the dams. Keep the Mura River flowing. Stop the dams. Keep the Mura River flowing. More than 31 miles of valuable Mura River stretches are projected to be dammed by eight hydropower dams—affecting over 17,000 acres of wetlands and threatening vulnerable wildlife and local livelihoods. The Mura is a sprawl of natural habitats such as large floodplain forests, river islands, and gravel and sand banks. These habitats are home to the highest density of breeding pairs of white-tailed eagles in Continental Europe and are some of Slovenia's most important fish habitat. The planned damming of the Mura violates Slovenian and EU water and nature conservation laws, and would transform the healthy and flowing Mura into eight lifeless reservoirs. Sign our petition to Irena Majcen, Slovenia's Minister for Environment and Spatial Planning, to stop the eight hydropower dams planned on the Mura. Please stop Hrastje-Mota and the seven other hydropower dams planned on the Mura. Damming the Mura, and consequently transforming the river into eight lifeless reservoirs, goes against the Slovenian Government's commitment to ensure international protection of the area. This stunning river landscape hosts amazing levels of biological diversity and rare natural habitats. 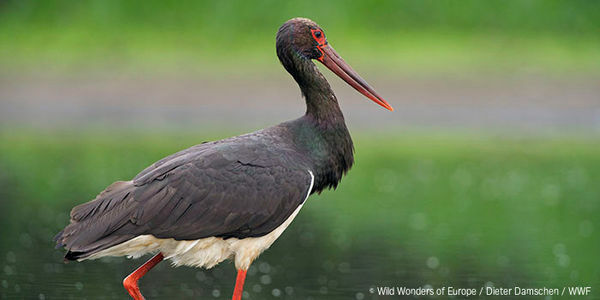 Large floodplain forests, river islands, gravel and sand banks, side branches and oxbows are home to white-tailed eagles and other endangered species such as the little tern, black stork, beaver, otter, and ship sturgeon. In addition to high levels of biodiversity, the river and floodplain areas are vital to surrounding communities. Local fishermen rely upon the fish populations for their livelihoods. The extensive floodplains lower the risks from floods, secure favorable groundwater conditions and self-purification of water which is essential for drinking water, forests and agriculture. The environmental impact assessment report on the first planned dam at Hrastje-Mota concludes that the dam would have harmful impacts on nature. Moving forward with these planned dams would have damaging effects on the environment, wildlife, and local livelihoods that depend on a healthy Mura. Please keep the Mura healthy and flowing, and stop the dams.